Till-Holger Borchert, Susan Marti, Gabriele Keck, Tent. Cat. Karel De Stoute: Pracht en Praal aan het Bourgondische hof (Bern, Historisches Museum; Bruges, Groeninge Museum; Vienna, Kunsthistorisches Museum), Mercatorfonds Brussels, 2008. Till-Holger Borchert, Exh. Cat. De portretten van Memling, (Madrid, Museo Thyssen-Bornemisza; Bruges, Groeninge Museum; New York, The Frick Collection), Dutch edition, Ghent/Amsterdam, Spanish edition Museo Thyssen Bornemisza, French edition, Ludion/Flammarion, Paris; English edition, Thames & Hudson, London/ New York; German edition, Belser, Stuttgart, 2005. Till-Holger Borchert, Dorine Cardyn-Oomen en Bruno Fornari, Exh. cat. 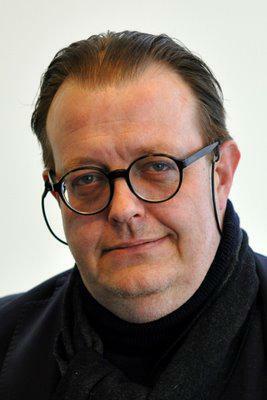 Ensor tot Bosch. Naar een vlaamsekunstcollectie / Ensor à Bosch. Les prémices de la vlaamsekunstcollectie, Mercatorfonds, Brussels, 2005. Till-Holger Borchert, Hélène Verougstraete en Roger VanSchoute, Exh. cat. Fake or not Fake. Het verhaal van de restauratie van deVlaamse Primitieven / Restaurateurs ou fouassaires desPrimitifs Flamands, Ludion Ghent/Amsterdam, 2004. Till-Holger Borchert, Exh. cat. De eeuw van van Eyck, (Bruges, Groeninge Museum), Dutch edition, Ludion, Ghent / Amsterdam; French edition, Flammarion,Paris; English edition Thames & Hudson; London / New York; German edition Belser, Stuttgart. 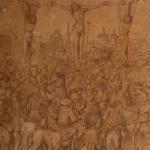 Hans Memling and Italy, 2014, Musei Capitolini, Rome (Guest curator). Jan van Eyck, Grisaillas, 2009/10, Museo Thyssen Bornemisza, Madrid. Charles the Bold, 2007/09, Groeninge Museum, Bruges; Historisches Museum, Bern; Kunsthistorisches Museum, Vienna. (Scientific committee and co-curator). The Forbidden Empire, 2007, BOZAR, Brussels; Palace Museum Bejijng (Scientific committee). Antonello da Messina. Scuderia del Quirinale, 2005-06, Rome (Scientific committee). Ensor to Bosch: towards a Flemish Art Collection, 2006, BOZAR, Brussels (guest curator). Art from the Court of Burgundy. The Patronage of Philip the Bold and John the Fearless, 2003/04, Musée des Beaux-Arts, Dijon; The Cleveland Museum of Art (scientific collaboration). 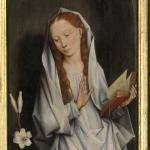 Getty Collaborative Grant: Early Netherlandish Diptychs, 2002/03, Royal Museum of Fine arts, Antwerp; National Gallery of Art, Washington DC; Harvard University, Cambridge, Massachusetts, US (Scientific committee). Tilmann Riemenschneider, 1999/2000, National Gallery of Art, Washington DC; Metropolitan Museum of Art, New York (scientific collaboration). Bruges and the Renaissance. Memling to Pourbus, 1998, Memling in Saint Jan's Hospital Museum, Bruges, (Scientific committee). Various lectures in museums and universities in Europe and the US, regularly lecturing during specialized symposia and conferences on Northern Renaissance culture. Lecturer at the University of Aachen (until 2004). Chair of Excellence in Art History at the University of Memphis (Tennessee) in 2007/2008.